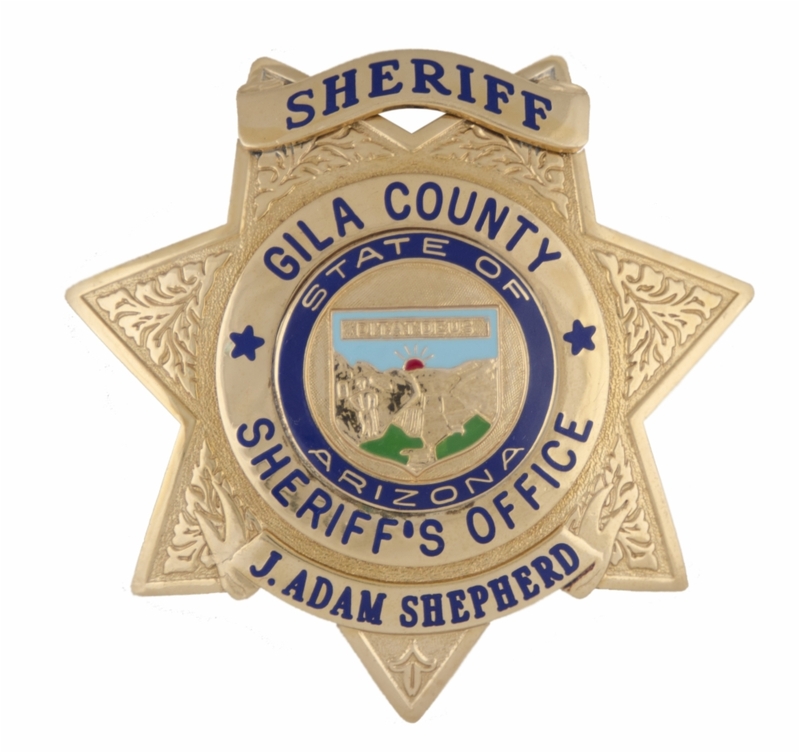 Sheriff Adam Shepherd resided in Gila County for over 40 years and is an Arizona Native. He has over 30 years of progressively responsible law enforcement experience in Gila County. He advanced in Command through the ranks as field deputy, detective, narcotics officer, field sergeant, lieutenant-district commander and finally as the Undersheriff, where he was responsible for all field and detective law enforcement services in the GCSO. Sheriff Shepherd graduated from Pima Community College, Northern Arizona University, and Northwestern University School of Staff and Command. He has served as a certified paramedic, general instructor, firearms instructor, baton instructor and lead instructor on GCSO computerized systems. He earned a commercial pilot's license with multi engine and instrument rating. He is a certified diver and has served as a member of the Sheriff's Office underwater dive team, and also worked to implement comprehensive GCSO policy and procedures. The Gila County Sheriff's Office will support the citizens, visitors and the Justice System within Gila County by maintaining peaceful and orderly communities. We will be accessible and accountable to the citizens of our communities, providing them with economical, consistent and compassionate service. We pledge the highest standard of professionalism, integrity, ethics and performance as we deal with the communities that we serve in a fair and impartial manner. We welcome the diversities of our citizens and employees and encourage those diversities to further the abilities of this office. Management will provide inspired leadership, quality training, employee recognition, and is dedicated to enhancing the individual worth of each employee. The employees hereby dedicate themselves to the betterment of the office by displaying the highest level of integrity in our interactions with staff and management. Through this mutual trust we will form a union, which will provide the highest standards of professionalism, integrity, fairness, honesty, compassion, ethics, impartiality, and dignity for all employees. We value moral leadership and creative problem solving in our employees. We are dedicated to the improvement of every employee for we know our employees are our greatest assets. In order to better serve the public, Sheriff J. Adam Shepherd has established 2 central locations for citizens to make in-person requests for information and/or non-emergency assistance. These locations are listed below as Visitor Services & Public Information. Visitors to any other Sheriff’s facility will be re-directed to the nearest central location. Thank you for your cooperation.